A virtual trip to the Natural Kids Store has inspired me to start thinking about winter crafts with the kids. All the handcrafted felt and wool, hardcarved wood, handpainted treasures are so beautiful. The colors are so inspirational and remind me of my current favorite "grass roots" color pallete designed to invoke all things handmade. 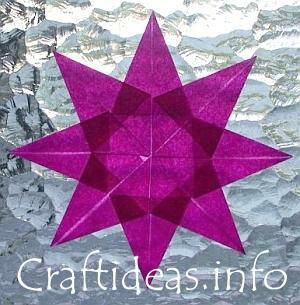 Craft Ideas has many different FREE easy patterns for colorful folded stars here and here. Even more sophisticated versions can be purchased from Harvest Moon by Hand's etsy shop and they are gorgeous!!!! Zencrafting has taken a twist on folded stars by providing FREE patterns of how to make savory origami stars from fabric origami stars as well as the more traditional paper origami stars. Check out her Etsy shop for more offerings. She also has a beautiful free calendar you can download and enjoy immediately. These scrumptious felt cookies are available from Harvest Moon by Hand's etsy shop. Perhaps they'll also inspire additional creative crafting with the kids. Felt cookies from Bug Bites Play Food and their mouth-watering etsy shop where there is nothing you cannot order!! 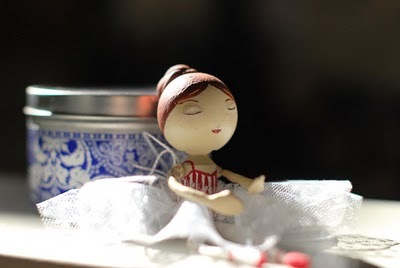 I'm continuing my delight with peg dolls and hope to make some this year with my daughter and niece. Having recently been to a teen dance troup performance I was enthralled with this "tiny dancer" from the amazing artist at Pretty Ditty. Isn't this just serene? It's even more cool to realize it is made just special for her daughter. Kits and Supplies to replicate the fanciful dolls from Pretty Ditty. Waldorf inspired peg people and accessories from The Enchanted Cupboard. Folk peg dolls from the Bedford Museum in the UK. Snow Peg People from Get Creative. Mr. & Mrs. Claus from Martha Stewart. Peg dolls, cottage, furniture from Grace Violet. Marie-Claire 1800's peg doll from Our Canadian Girl. Buckingham Palace Guard clothespin doll from the Caron Collection. Crocheted Angel clothespin from Crochet Memories. Witch clothespin doll from Crochet Memories. Clothespin reindeer from Exploring Womanhood. 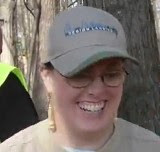 Thanks to Red Current for assistance in identifying some of these resources.